When Amy Hamer of Houlton woke up and saw the snow coming down on Wednesday, she didn’t think for a moment that it would stick around. CARIBOU, Maine — When Amy Hamer of Houlton woke up and saw the snow coming down on Wednesday, she didn’t think for a moment that it would stick around. When her children continued to watch it pile up, however, and declared there was “enough to make snowballs,” she relented and let them outside. Snow wreaked havoc on drivers across northern and coastal Maine on Wednesday, with up to 10 inches of snow recorded in some parts of Aroostook County, according to statistics from the National Weather Service in Caribou. Police reported numerous accidents and cars off the road in Hodgdon, Houlton, Littleton, Presque Isle, Caribou and in the St. John Valley. Nearly 50 vehicles slipped off the road across much of coastal Maine and in greater Bangor during some of the first snow of the season, according to Maine State Police. In The County, Merrill received the most snow, 10 inches, while Dyer Brook had 9 inches and Ludlow had 8.5 inches. Amity picked up 6.2 inches, and Houlton received 6 inches. Further north, Caribou picked up 2.5 inches and Presque Isle saw 1.5 inches. The 2” inches of snow recorded in Caribou Wednesday broke the previous record for this date in 1981 of 1.3 inches, according to the NWS. Much smaller amounts fell in the St. John Valley, with Connor seeing 1.3 inches and Lille receiving a trace amount. In Penobscot County, Patten received 7.5 inches, the most of all other towns. East Millinocket received 3.5 inches, and Bangor received a trace amount. Trace amounts were also reported in most of Piscataquis County, but in Washington County, West Lambert Lake recorded 7 inches. NWS Meteorologist Todd Foisy said that the earliest Aroostook County has ever seen snow was on Sept. 29, 1991. Snow in October is not abnormal, he said, with some falling “between 20 and 30 times” since record keeping began in 1929. 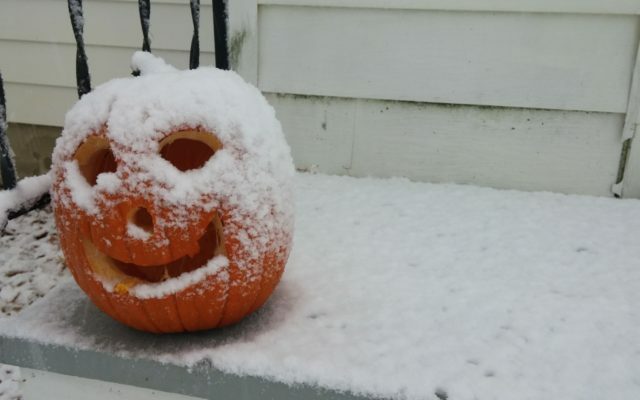 Foisy said that the average date for snow to fall in The County is on Oct. 26. The most snow ever recorded in October fell in the Caribou area in 1963, when 9.4 inches was recorded. The second highest total, 7.6 inches, fell in 1959, also in the Caribou area.